Michael (left) and David Cordua. Photo by Julie Soefer. Update, 9/19/18, 2:25 p.m.: This story has a follow-up: “Cordua Restaurants Inc. Disputes Allegations of Founder and Namesake“. 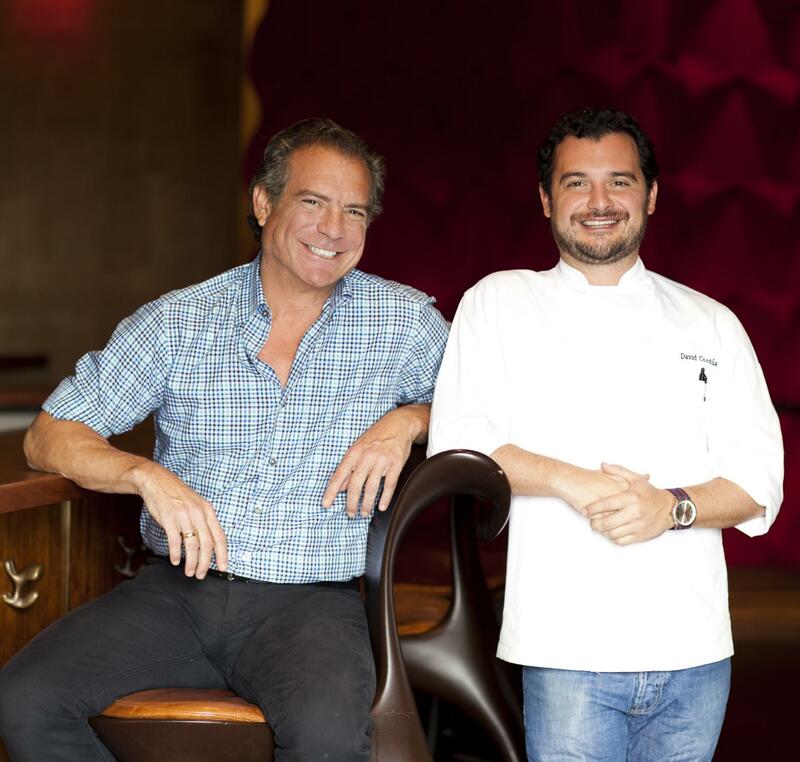 As first reported by CultureMap Houston, restaurateur Michael Cordúa and his son, executive chef David Cordúa, have left Cordúa Restaurants, the hospitality group the elder Cordúa founded in 1988 when he opened the first Churrascos. The father-son team say that since the news became public, they’ve been inundated with calls and texts from journalists and well-wishers alike. That may be true, but what about the events that led this? “Quite frankly, we trusted people we shouldn’t have trusted,” said David Cordúa. According to Michael Cordúa, in 2012 he brought in some distant relatives of his wife’s to be limited partners in Cordúa Restaurant’s Sugar Land expansion of Churrascos. While the Cordúas believed they were simply expanding their brand — with the intent of carrying on core values of caring for employees and providing a stellar dining experience for their guests — Michael believes his new partners’ focus was just on making money. By 2016, Michael says he was removed from any management position in the company’s day-to-day operations, even while he maintained a seat on the board. As of last month, the Cordúas were no longer a part of the company that bears their name. “It hurt,” said Michael bluntly. David noted that while his departure from Cordúa Restaurants last month was “a mutual separation,” he also commented that his role — and his father’s — had been marginalized for years. “We felt the company had been growing away from us and our partners weren’t focused on the kind of chef-driven experience we wanted to provide,” said David.” He also commented that there were slips in the level of service the brand had prided itself on delivering. 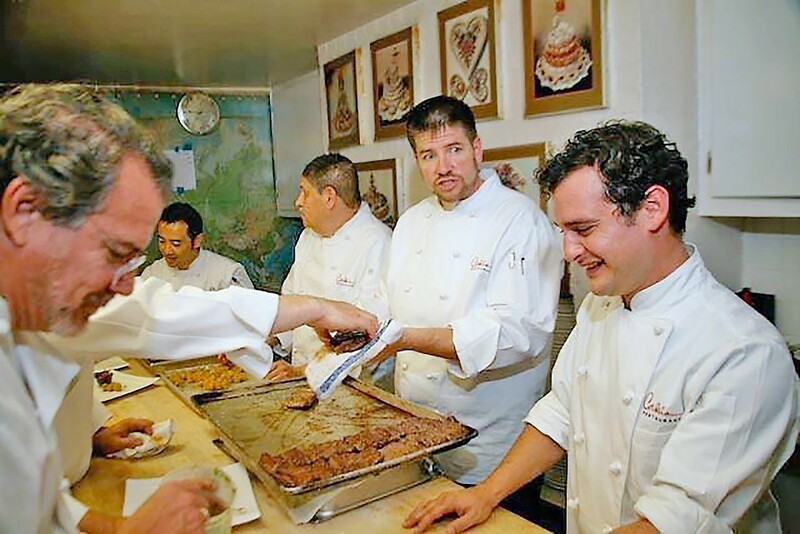 Michael (left foreground) and a young David Cordúa cooking at the famed James Beard House in New York City. Photo courtesy of Michael Cordúa. The exits follow a series of shakeups at the company that once controlled Artista, Amazón Grille, Americas and Churrascos. Amazón Grille closed last year, turning the lease over to Christian’s Tailgate. Artista, the popular restaurant in the Hobby Center that offered sweet views of downtown, was set to close this July, at the end of the Broadway Across America and Theatre Under the Stars season. Instead, it shuttered in May. (Spectrum has taken over the space with plans to open in a redesigned concept this fall). Houston Food Finder’s calls and emails to Cordúa Restaurants were not returned after two days after attempting to get the company’s side on the matter. Meanwhile, father and son are moving on — together. “You always feel a little scared about change,” said Michael. “But change isn’t a bad place to be. I believe in the phoenix. I believe in the power of resurrection.” He said he and his son are creating a business where the values of love, care and respect — for each other and for their guests — are non-negotiable. Diners will begin to see that evolution through a series of pop-up events, christened Yum DMC, launching on Sept. 27 at Bar Boheme. The series title draws from both Cordúas’ names, as well as Michael’s insistence that any cuisine they make must always be “yummy.” The Boheme pop up is a pairing event is sponsored by Gray Goose and featuring a combination of dishes created by David and Boheme chef Rishi Singh. “We’re really hit the ground running,” David said. There’s also the TV show “The Houston Cookbook,” airing on Houston PBS this fall, likely around Thanksgiving. David’s shot the pilot for what he hopes will be a series, a love letter to the Bayou City’s food scene. “I love film and television and this was a chance to be a cheerleader for the city,” David said. Featured in the episode are Kiran Verma of Kiran’s Houston, the team behind Blood Brothers BBQ and Ana Beaven of Cuchara. “We’re really highlighting the way people around the country will be eating in the future and we’re already doing it,” said David. David said that while he’s worked beside his father in their business for the last 10 years, he sees this new venture as a way to better play to each other’s strengths. Should we receive a response from Cordúa Restaurants, this article will be updated.